Grand Theft Auto Release Date! Rockstar Games finally announced a release date for the hotly anticipated Grand Theft Auto V! They have pushed back the release from spring but at least we now have a solid date to look forward to. Get your calendars ready! GTA5 will finally come out on September 17 and I can’t wait! Although it’s a graphically appealing game for the genre and the gameplay is fun most of the time, I don’t like the fact that it relies heavily on a tilt mechanic. I haven’t had any issues with the swipe mechanic (turning left or right, jumping or ducking) that always seems to execute smoothly. However, one thing I’ve noticed is the fact that it doesn’t always recognize a legitimate tilt. I can’t begin to count how many times I’ve had to use ‘Save Me’ (which is a nice feature to have) at the cost of a gem or two because of this. Let it be noted, I played on both an iPhone 5 and a Kindle Fire. This issue may not be present on all devices. In this sequel, they have also added zip lines and mine carts. The mine carts are very tilt-reliant which can be extremely tedious if you’re unlucky enough to get a lot of mine cart areas back-to-back. What’s unfortunate is the fact that the issues with tilt are still present in the mine carts; due to the areas being reliant on tilt, this can be problematic. 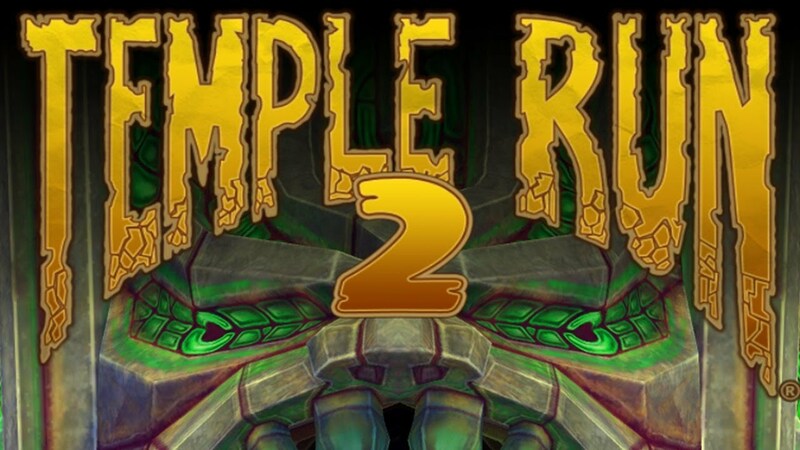 You can purchase Temple Run 2 through Amazon, Google Play, or the Apple iTunes store. It was on sale for Free at the time of this posting. With this announcement, I pose everyone question. What are your thoughts on this? Are you excited? Worried? Skeptical? Elated? If you aren’t too fond of Abrams, who else do you think would have been a good choice? Leave your thoughts and comments below! There was a massive amount of announcements from Nintendo, this past Wednesday, regarding the future of the Wii U. There were seven new games announced and a even new HD remake of a GameCube game. A brand new HD Zelda game with a new vision on how to handle the traditional gameplay. Possibly rethinking dungeons having to be completed in sequence and being single-player only. An HD remake of The Legend of Zelda: The Wind Waker! Nintendo as stated that they plan to expand on the original experience; there will also be Miiverse integration and the ability to play fully on the GamePad. A slew of Mario games are currently in development. No footage was shown but they promised reveals at this year’s E3. Smash Bros (Developed by Namco Bandai), Mario Kart, and a 3D Mario game made by the developers of Super Mario Galaxy 1/2 will all be present. Atlus and Intelligent Systems are currently developing a crossover game involving Shin Megami Tensei and Fire Emblem. A new RPG for the Wii U being made by the developers of the Xenoblade series. Speculation points to a new Xenoblade game, possibly a sequel to Xenoblade Chronicles. The Virtual Console is coming to Wii U in April. The library of games won’t be the same as the Wii’s to start with, but will begin with NES and SNES games. Games will be from $5-$9 USD and you can pay $1 if you already own them. You can still play your Wii versions in Wii Mode but you won’t have access to the Wii U specific features such as save states, GamePad play, and Miiverse support. They are also having a trial promotion now through July that offers one game every month for the low price of $0.30. Game Boy Advance titles will also arrive sometime in the future which hints at possible crossover play between the Wii U and 3DS. Wii U Party announced. The game will be a collection of minigames a la Wii Party. It will be mainly designed to showcase the new features of the Wii U and what it has to offer families. The game will also support your collection of Wiimotes. Yoshi’s Land (placeholder) for the Wii U was announced. The game is being developed by the same studio that did Kirby’s Epic Yarn and you can definitely see that influence in the game’s visuals. Yoshi is made of yarn and it looks to be a 2D platformer but this has not yet been confirmed by Nintendo. Upgrades to the OS and Miiverse will be pushed out in Spring and Summer this year. Improvements to load times were mentioned. They will also add the ability to create your own communities in Miiverse and access to Miiverse ill soon be available on smartphones (possibly a future app) and PCs. These all sound like great announcements to look forward to in the coming months and later this year. I personally can’t wait for the new Zelda and Mario games! For further information and videos, please visit IGN at the respective links above! I know there must be a ton of Zelda fans on here. I’ve had my eye on the new Zelda book being released in English very soon. This “Encyclopedia Zelda” covers everything from lore and history to character development and concept art for all of the games. It’s definitely a must have for any serious Legend of Zelda fan! It even includes an official timeline of the entire Zelda universe. Dark Horse, the publisher, says that they’re selling both a regular and collector’s edition, however I have been unable to locate a link for the collector’s edition purchase (will update ASAP). Below are some preview scans courtesy of Kotaku!